The new novel “I Hate The Internet” by Jarett Kobek will be published on the 3rd of November 2016 with the author’s note to the UK edition. The book is a hilarious but above all furious satire of the Internet Age, and an indictment of intolerable and unregulated capitalism. Jarett Kobak is a Turkish-American writer living in California. 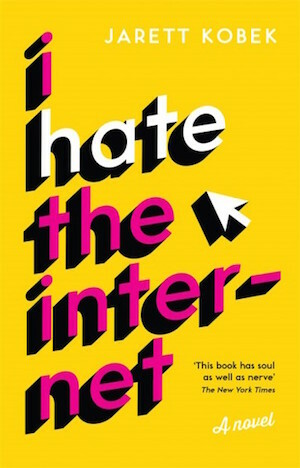 “I Hate The Internet” is his first full-length novel and it is being published in six languages around the world.